You get lifetime access to over 40 hours of cut, color, braids & styling education from some of the world’s best mentors! Learn on your own time -and at your own pace. 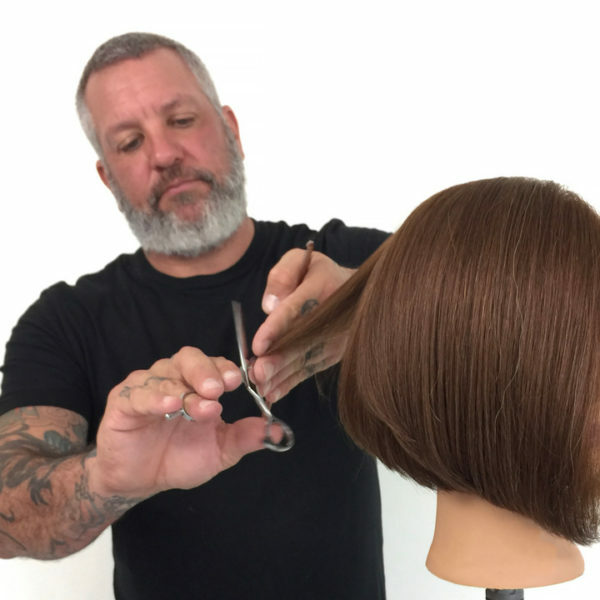 This 8-course bundle also makes a great in-salon training program covering a wide range of useful techniques and looks. A renowned master hair cutter, DJ (Daniel Joseph) Muldoon started his career in 1994 at the iconic Sassoon Academy in Santa Monica, Ca. Today, DJ is a master educator and platform artist who shares his knowledge and skill with a worldwide audience. DJ is known for his no fluff approach and his ability to breakdown the what, why, how, and when in haircutting. An early adapter and leader in producing digital video-based ‘step by step’ education, DJ believes that ‘Knowledge Destroys Fear’ and is proud to represent the hairdresser as an independent artist. Since the communities launch in 2008, Team Hb has gone on to launch the Hairbrained.pro Shop, produced the now iconic “Hb Teach-In” master jam events, introduced the inspiring Hairbrained Video Awards, and created Hb LIVE Academy, the start of a revolution in online craft hairdressing education. Gerard currently divides his time between engaging with the Hairbrained community, sharing his passion for the craft by continuing to teach every chance he gets, and collaborating with the Hb team and our partners to continue to elevate the craft. A long hair master with over 18 years of experience, Jenny Strebe (aka @theconfessionsofahairstylist) harnesses the transformative power of hairdressing to create visually-arresting styles, from high fashion editorial to popular everyday modern looks. Fusing her talent for hairdressing and deep devotion to education, Jenny founded leading blog and youtube channel The Confessions of a Hairstylist in 2014. With over 6 million YouTube views and over 600,000 social media followers, Jenny has become one of the most influential hair bloggers in the world. In 2016, Jenny added ‘author’ to her resume – since then publishing 3 popular hair tutorial books. Sharon Blain is one of the most lauded international long hair educators in the world today. A multi award winner, she is recognised for her exceptional creativity through stunning photography images that have been published world-wide. Her innovative and unique long hairstyling covers the whole spectrum from bridal, red carpet, editorial and extreme but beautiful Avant garde. Sharon teaches simplified techniques that are easily achievable, simple to execute, and guarantees to expand hairdresser’s skills technically.